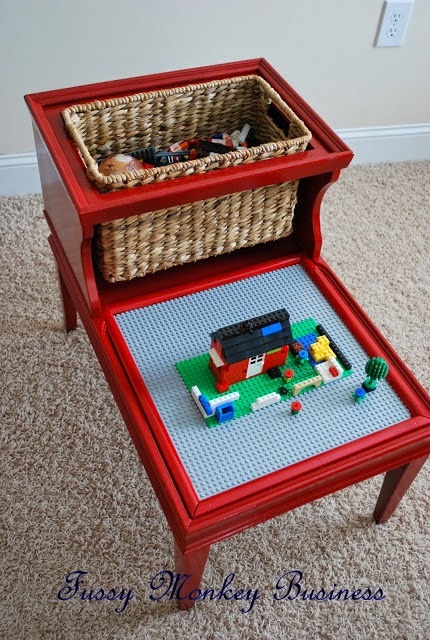 Random Anny .Com: What a clever Lego table! What a clever Lego table! Apparently Target sells the lego bases for $14.99. 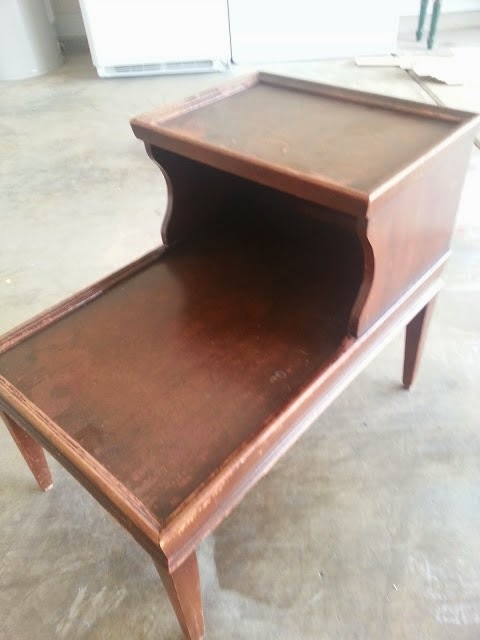 My husband owned an end table just like this when we met. It was uber laminate and ugly but it had belonged to a relative so he loved it. He would have probably loved it more if it held Legos instead of imaginary corded phones. Also - what's up with bloggers spray painting everything these days? I predict in a year all these "spray all things" posts will be replaced by "strip and refinish all peeling things." That is really cool! What are the odds you'd find a basket to fit perfectly in that space? I remember when stripping and refinishing furniture was all the rage. It might happen again, but I doubt it. Too much work involved. Messy stripping chemicals and all that too. It's easier to paint stuff. You'd have to visit a "real" store but shops like Burlington, Marshalls and TJ Maxx have entire aisles dedicated to baskets for cheap. This looks like a dvd sized box to me.